The ArtStation Marketplace is a resource for artists to buy and sell products. This week we’re featuring various environment reference packs to be used for photobashing, painting reference or matte painting. In this set there are 192 reference photos taken in Singapore including modern and traditional architecture, aerial city shots, port area, rundown areas and more that can be used by environment concept artists, matte-painters etc for personal or commercial use. Over 360 high-quality photo JPEGs. 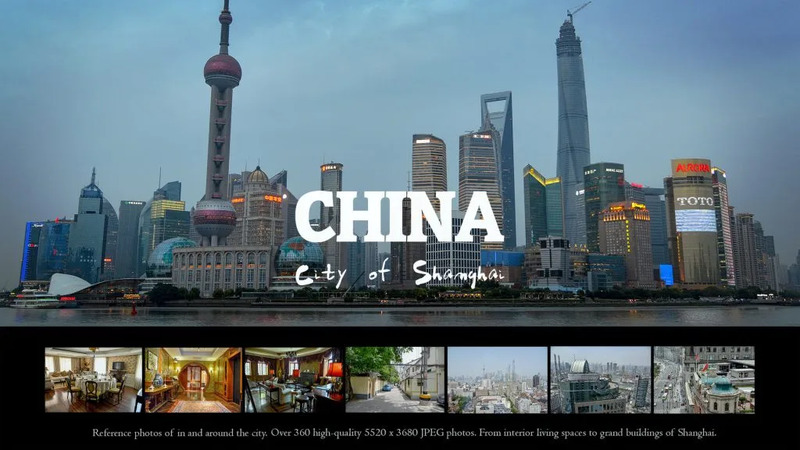 Shot in 2014 with digital full-frame DSLR around Shanghai’s old and new sections. Includes both hard to access interior living spaces and exterior areas by the river in daylight and evening light. 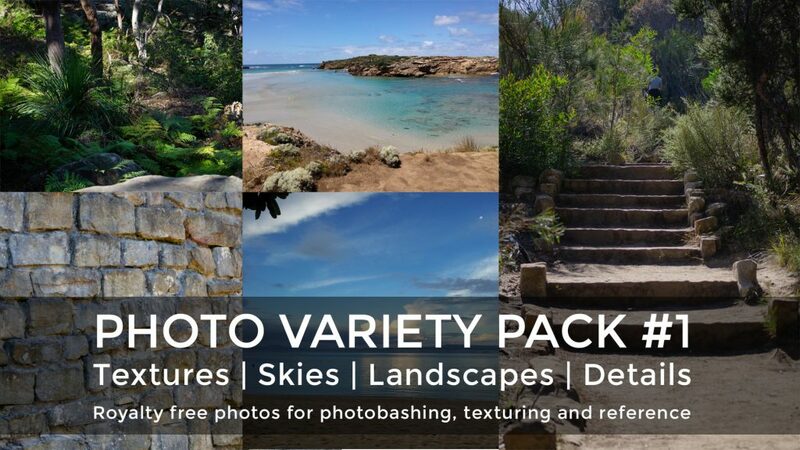 This pack features over 500 High resolution images of various environments and texture details. Awesome for photo-bashing, matte painting, texturing and reference. Big range of rocks and things to throw in your artworks. 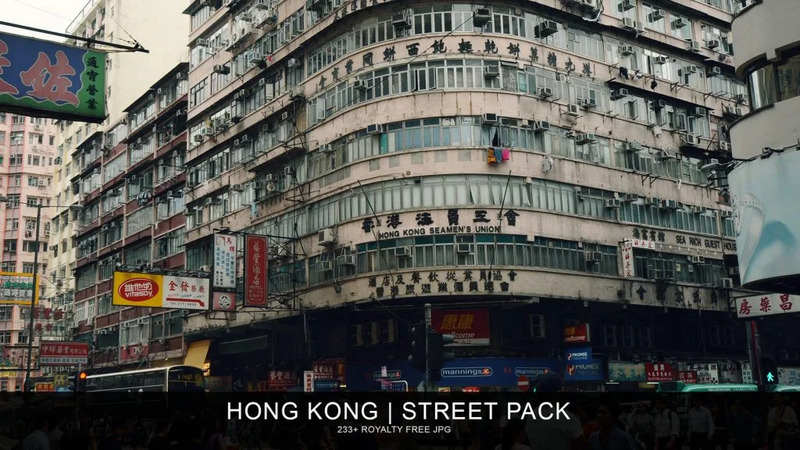 This pack contains 233 photos of streets, dirty alleys, roofs and more from Hong Kong. Royalty free reference pack of volcanoes In Nicaragua and Guatemala. Some spectacular volcanic cloud formations, and some photos of neighboring cities, Granada in Nicaragua and Antigua Guatemala. 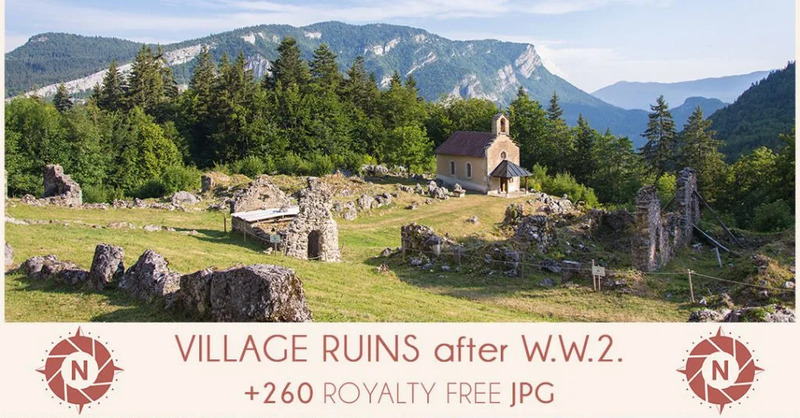 This Photo Reference Pack was shot in the Historical place of Valchevrière, a French village destroyed by the Nazis during the Second World War. 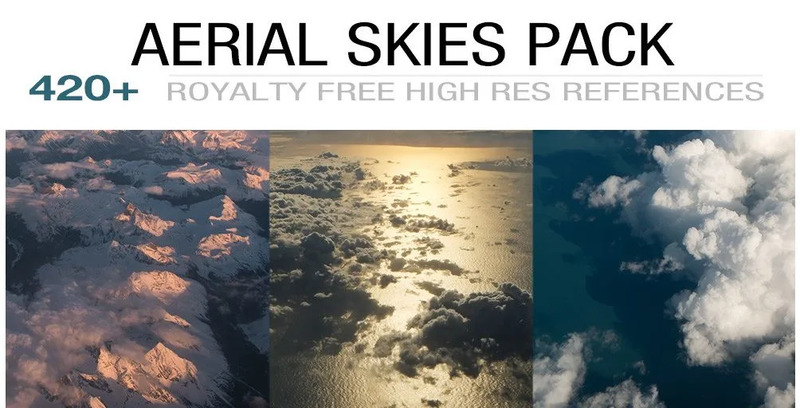 From low to high altitude, from dawn to dusk, this pack contains a wide variety of aerial skies.